With next year's model of a BMW you expect the changes to improve the line of cars while maintaining the same characteristics that have established the brand's reputation. The name states the legal entity of the company and also speaks of a history, standards and expectations. We have come to expect this in a culture based initially on Biblical views of creation in defined shapes, the reliable and just character of God, the trustworthiness of His word. In God's world we have commands to be truthful, to weigh with honest measures, to apply the same law to believers and aliens and to have your ‘yes' be a ‘yes' and your ‘no' be a ‘no'. We live in a real world of definitions, countered by three alternative propositions. The first is raised in Eastern religions that all reality is finally an illusion. Truth is not a matter of correspondence with reality, but of an inner journey of feelings. The second is the teaching of Islam, where precision is demanded, but without a moral context. God can do anything and get away with it. Man has to obey, submit and accept. The third is the Darwinian view that might determines right. Power justifies everything. In this view there is no protection for the weak, no mercy to the slow. Our cultural context is based on the belief that truth and morals matter and need to be safeguarded. Without that everything eventually becomes fluid, bendable and uncertain. We have received this view of truth from the teaching of historic Judaism and Christianity. It leads to such concepts as the rule of law rather then of arbitrary men. It is the basis for the protection of property by laws against theft, including theft of intellectual property. We punish copyright violations and plagiarism for that reason. A name is not only personal; it also marks an identity. We give labels and reject imitations, unless they again are labeled as such. And we can easily be fooled when people play with appearances and misrepresent reality. Let me illustrate that in the four areas I recently observed. The pastor responsible for the catechetical instruction of children in our district carefully prepares studies to help those willing to teach a new generation the basics of Christianity. Or is it merely ‘faith' he wants to impart? He starts at the beginning in Genesis, only to say that "we now know for sure that there was no creation, no fall of man, no miracle and of course no resurrection." We are not told how we now know these things, so long after the events described in the Bible, nor for what reasons we differ so centrally from what the church and orthodox Jews have always believed until 150 years ago. The passages are read in search of spiritual, not factual messages. They become allegorical statements, intended to teach a moral. The third chapter of Genesis tells us that it is wrong to always want to know everything!! Let that be a humbling lesson to you and put you in your place! It also teaches us that man's desire to live forever is misplaced!! There is nothing left of a historic event, of a tragic entry of death into a good creation, of God's longing to win a battle against sin and death through the resurrection of Christ in order to win us life eternal. For, of course, we now know that there is no resurrection. This pastor in a senior position is in fact dancing on the grave of a church he helped bury. He misrepresents all that the Bible and Jesus have instructed us to know and to believe with good reason. Without this we have Jesus, we lie about historic reality and we have no living hope. Yet instead of suggesting he now knows that the teaching of Christianity has always been false and then turning to something else, this man continues to teach inside the church what is a total negation of her life and faith. It is as if you sold a mule train under the BMW label. The crisis is no so much that people's interests lie elsewhere. The church often no longer gives the intellectual and understandable answers of historic Christianity to the basic questions of our existence. Where Zen is the church? Recently I attended a Bible study in a Manhattan Roman Catholic Church. The young priest lead a study of Revelation 10 and 11, giving us the benefit of his language skills by way of his own translation. However, all the conclusions were presented as an internal journey without any historic and external relevance. Revelation, he said, is an allegory of each person's spiritual journey. There is no history to it, no external reference, no real devil, no two witnesses to the resurrection. Revelation only describes concepts in personal growth like a journey of the self to another, always becoming, self. There is no risen Lord, no judgment in history, no final battle, no eternal life in time and space. The changes in history that we always saw in the text are in reality but changes in perception. That priest of the Church of Rome is contradicting everything that Rome has stood for in centuries. He is dancing on her grave, for no one in his parish seems to know that this priest is not teaching Christianity, but Zen. In fact he admitted in a more private setting later, that he had become, in the course of his monastic life and study, a practitioner of Zen. Our BMW has again been harvested of all that gave it quality. The carefully crafted integral parts of the machine have been replaced with a pile of straw. The image is still there, but the substance no longer gives it drive. Yet it does not bother anyone. The search for spirituality has become so personal, that any proposition is judged not on the merit of truth, but on what it does to the seeker. The question of integrity relates only to a personal, inner reality. We are presented a counterfeit Jesus, who is no longer the Messiah in history to bring judgment and redemption. Instead he is the image of a more personal journey to happiness. Only, we do not complain, since at stake is something less objective than genuine 501 Levi's or a real Rolex. We have made the Gospel something less than objective truth. When our concern is more how we feel than how we plan to stand before God, we are easily satisfied. For we define our own measure of things. Yet in reality we abandon the relationship between God and creation, between word and fact, between hope and substance. The Biblical faith was always based on the certainty of things hoped for, the evidence of things not (now or anymore) seen, Hebrews 11:1 - 6. The focus was always outside myself: Is there a God to this reality? Is He good? Why do I not see him most of the time? What proof do I have? Jesus tells John in prison to compare the promises of the Messiah to the works of Jesus in history. He was not to look at his own situation, from which was never delivered in this life. Instead, the comparison of promise with surrounding events convinced and comforted John. All that has been largely buried under the effect of our psychological mindset and narcissistic occupation with the self. People of some faith or other are now merrily dancing on the grave, where they earlier buried the grace, hope and justice of historic Christianity. A document was signed in Augsburg last October between Lutherans and Roman Catholics to signal a new agreement on one of the major points of difference that had been at the heart of the Protestant Reformation 450 years ago. Protestants differed from the teaching of the Roman church in two major areas: The question of authority pointed to the Bible rather than the mixed teaching of the church. The question of salvation before God stressed the finished work of Christ rather than earned merit to become worthy of the merit of Christ. In the latter the Augsburg signatures suggest agreement now. Salvation is by Christ's work. The schism of the 16th century is healed. Christendom is united again in its view of salvation. In fact, much has happened in Rome in the last few years. Bible study, forbidden only forty years ago under threat of punishment in hell, is encouraged. People discover the grace of God in Christ. The Pope's writings have been widely appreciated in his concern for the poor, for the oppressed, etc. There are many good reasons to work together to expose and answer modern secularism, Islam or Eastern religions in their disdain for man. Yet the dance initiated in Augsburg is not appropriate. The signed agreement is superficial and creates an image without much substance. The church's teaching often still stands above the meaning of the Bible and has authority to determine content. Is it not curious that at the same time as scholars signed in Augsburg, the church in Rome declared that a visit to Rome during the Holy Year 2000 would bring with it indulgent merit for believers! Luther's teaching against indulgences was one of the main reasons for the split and a return to Biblical Christianity. His 95 Theses treated the subject at length. Salvation is by Christ's work alone, not by the purchase of remedies to reduce one's guilt. Yet here, right at the beginning of the 21st century, indulgences are still granted by the church. They began to dance on Dr. Schaeffer's grave as well. With comments like, "I never saw a single book by Karl Barth on Schaeffer's bookshelves all those years I lived in his house" current staff members oppose his important contribution to Christian thought, i.e. the analysis of Barth's theology and its destructive influence on a whole generation in the church. Looking for a paper on Barth or a quote from his Church Dogmatic and not finding one in Schaeffer's writings they distance themselves from Schaeffer's views in Escape from Reason, The God who Is There and How Should We Then Live? 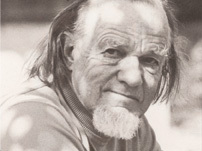 Schaeffer, by his own admission, was a generalist with a scholarly interest. This gave him an amazing capability to analyze a viewpoint, to understand its significance and to notice the correlation to other fields or cultural and historic consequences. He saw Barth's theology as a door to the acceptance of universalism. Barth had become a widely followed theologian in the thirties and forties because of his theology: he stood against the older liberal transcendentalists, then against the fundamentalists. He also wrote against the more secular pagan existentialists like Bultmann and Brunner. Barth taught a theistic existentialism. In addition his leading role in the church's resistance to Hitler as part of the Barmen Confessing Church made him stand out as a churchman with a clean shirt at the time when Schaeffer first came to Europe in 1947. Yet Barth never broke down or climbed over the epistemological wall set up by Immanuel Kant. One had to bow to the God in heaven, yet He always remained the unknowable. For Barth, the Bible contains, but is not the word of God. That word stands always in the context of human error. For, to Barth, God is the wholly other (‘totaliter aliter') one. His text is always erroneous. But then, he says, there is Jesus Christ, in whose coming God has spoken (‘the living word') a cosmic acceptance of the human race. We cannot know God, but in Jesus we see that he loves us, accepts us and is for us: for in Jesus, rejected by the Father, we are confronted with the mystery of God accepting man. The innocent is judged, therefore, Barth reasons, the guilty must be accepted. This is God's economy, Barth says, though God does not reveal this through any other means than the fact of Jesus. God is "totaliter aliter", always the incomprehensibly other. That is what Barth, not God, says about God! Schaeffer's understanding of Barth's consequent universalism comes from his seminary study, when Barth was the respected seemingly (i.e. neo-)orthodox thinker. Schaeffer, together with J. Oliver Buswell and Llaird Harris, visited Barth in Basel at times in 1948 and discussed their very different views of Christianity and the Gospel. To Barth the things of God had nothing to do with the things of earth. There was not one rationality, not one set of moral categories, not one meaning to language. Consequently Barth thought an inerrant Scripture was nothing but rationalism and human hubris. We can know of God only through the Christ-event. In it we know of God's free choice to accept the whole human race. In 1958 Schaeffer corresponded with Stacey Woods, the late General Secretary of Inter-Varsity and then of IFES. He warned him about the growing influence of Barth's thinking in evangelical circles. That influence has since not diminished, but grown. The battle is no longer over details of theology, but over the God of the Bible in contrast to "my personal god", my relationship to Jesus, my Buddha, my mantra, my psychologist, and my self. Modern spirituality is separated from reason and facts. Psychological and emotional concerns have replaced moral and intellectual ones. The ride itself is more important than the goal. What Eastern religions always presented as the universal way to nirvana is now also presented as a way with Jesus to personal fulfillment. A variant of the theme of religion as universalism is found in the debate over hell, where John Stott and Clark Pinnock now teach annihilation of the unbeliever from verses taken out of context. Their argument is more emotional than Biblical. Their pity for the sinner leads them practically to a denial of the great significance of human choices in history, including the choice to be separated from God forever. An article in US News and World Report (Jan 31, 2000) describes the various propositions very well. There is a flow not only to history, but also to ideas and their very practical consequences. Schaeffer was recognized as one who pointed this out again and again, trained by years of study, discussions and exposure to all kinds of views. We see in Europe' churches the effect of not questioning Barth's view of God and man. When the church teaches that, there remains no more compelling reason for anyone but the already faithful to listen. As for the others, God has chosen them anyway…in a cosmic "yes" of Jesus! What Barth never addresses, but Schaeffer always pointed out, is that without a reliable Scripture Jesus' life and death may just as well be part of a larger cosmic absurdity, in which there is no justice, no real rhyme nor reason to anything. That is where most of those who have heard Barth ended up… and then kissed the church goodbye, but keep on dancing. A cry of alarm and consternation went up when Jörg Haider's Freedom Party joined the right-of-center People's Party in Austria earlier this year. Haider, also governor of a Southern province, was known for his brash statements, his straight language, his views against immigration and his admiration for both Hitler's work program and his ability to stir up enthusiasm in people for the national-socialist cause. Reaction by other nations, Jewish groups and public protests was swift and united. Ambassadors were recalled for consultation. The European Union, of which Austria is a member, censured the formation of the new government in Vienna. Trade and military consultations were canceled. Tourism was to be put on ice. The world was showing its displeasure by isolating Austria. They took a united stand against any appearance of neo-nazi or right-wing reactionary politics, even sixty years after the holocaust. I am appalled by this shocking appearance of an old ghost. How can a country like Austria with music by Mozart and dainty coffee houses with cake, marzipan and high culture embrace such views today? Several components must be seen in balance. They will help us consider a deeper problem than just party politics and exploitation of resentments, which have lead to a gradual increase of votes for Haider's party. While many Austrians are ashamed about Haider's popularity, the foreign reactions should also shock us. That form of protest is illegal in a federal setup of the European Union. Imagine 49 American states boycotting one, whose governor has racist views! But the greater disappointment for me is in the one-sidedness of the reaction. It may well produce a counter punch and still increase Haider's popularity. It should be remembered that both Stalin and Hitler were cut out of the same philosophical wood: Hegelian dialectics, Schegel's nationalism, Darwin's ideas of struggle for survival of the fittest and Enlightenment idealism about a utopian society produced both the right and the left forms of socialism. One was nationalistic, the other economic. Both Stalin and Hitler were socialists, elitist and brutal murderers of millions in pursuit of their programs. Yet while Haider's program is rejected all the evil produced on the left in the past and now again by Putin's Russia is not considered. Why is Putin, in President Clinton's words, "a man we can do business with," and Haider gets the sack? In Austria Haider became a part of the government only after four months of fruitless negotiations, without Haider, with the socialists about a necessary austerity program failed and no party could govern alone. In addition we should be appalled at least equally at the Islamic fundamentalism and Hindu nationalism in many countries. Yet there we do not oppose religious multiculturalism, the persecution of minorities, and the disregard for women and the poor, or for Christians. In a democracy like Austria Haider can be voted out. Elsewhere no debate or interference of any sort is permitted. Austria never went through the kind of cleansing from the sins of the past as Germany and Japan. It could always blame the Germans, who annexed them, as the real Nazis. But there is a much deeper reason for the popularity of views expressed in the blunt fashion of a peasant with roots in their traditional mountain valleys. As our own political campaigns illustrate, candidates will paint themselves as solutions to all felt resentments and problems of the public. Rainbow coalitions will pick up stragglers and groups here and there and then promise them rights and remedies in return for the vote. Remedies are also sought for the sense of lostness, of being on the margins, not heard or misunderstood, which has grown in an increasingly global world. The more the individual is related to the whole, the more he misses his particular neighborhood. The global becomes an abstraction; it is too big to fathom or to control. In reaction, the local, national and traditional are values pursued with growing resentment to the foreign, distant and simply other. More autonomy is granted to a local Scottish or Welsh parliament. The Flemish want a greater weight in the Belgium of the Walloons. The Swiss wonder whether they should join a Europe that dictates over local sovereignty. And America, often rightly so, does not want to loose its sovereignty to dictates from the UN. Global trade not only creates markets and employment. It also invites the export of work to cheaper lands with the concomitant loss of place here. The more we are told to be at home in the world, the more our familiar world is taken from us. We feel naked, exposed and vulnerable. For the world of our comfort is smaller than the globe. It is made up of family, language, customs and the geographical shapes we know. Only as Christians do we have an additional factor of being part of one human race. We must still distinguish between right and wrong. We should not neglect a needed critique of less humane societies and their worldviews in other parts. ‘Global' invites us to stretch for love, mercy and admiration, not, as seems to be implied, to abandon moral categories by blind submission to a global vision. Haider in Austria, Buchanan in the US, a ground swell of people in Denmark, anti-global-business reactions in Seattle: They are each part of a sense of loss, fundamentally the loss of control, mastery and accountability. They each reject the leveling of specific qualities of life through trade alone, when they were created through moral choices. They are reactions to the notions that we live in one world, in which differences are only cute embellishments and never the result of fundamentally different worldviews. Socialist universalism introduced that counterfeit view of the one human race by preventing ethical transformation to give birth to a genuinely unified humanity. Now the fascist right wants to reestablish ethical distinctions and extends them to include blood and land, i.e., racial and national particulars. It is a return to the nationalism of the 19th century. Does that not sound like Russian, American and other tribal forms of ‘exclusive' superiority? At first blush it seems all-together a relief to discover a presidential candidate to embrace. The door for real change has been opened. When elected later this year the embarrassment over the past years will perhaps recede. Leadership will then be connected with moral choices and no longer merely with economic growth, smooth speeches and unpredictable actions in the international arena. His views are largely similar to ours, at least when he has expressed himself and shared them. In others, I suspect, we may well have good grounds for genuine differences and may wonder whether our values and views will be brought to bear on the governing of a nation. The candidate draws people who agree with him and who, for years, have looked for someone to be a viable alternative to the gang in power. Their history and values, their manner of unprincipled embrace of whatever the public wants and what the polls indicated has tired and annoyed us. The crafted spins of the past and the mannerisms of a schoolmaster for the future maintain for too long a steamy vision of a connected world of such disparate elements as people, trees and smoking guns. In addition we know some of the advisors of the candidate from past conversations. I have read some of their writings, have an idea about their convictions. Finally someone dares to point to the importance of things before us. Yet whether he does so from conviction and insight or from pressure of the establishment, the big donors I do not know? We do not only have good guys on the more conservative right. The candidate Bush may fit your bill more than any other now. Still, delight alone is not enough of a reason for him to win an election as the candidate for the first office of a whole nation. If have reservations, even doubts about the days ahead, it is from recent alignments in the campaign. Surely our concerns must be larger than merely present desires. We are not voting for an ideal, but for a need of leadership in a real country. I don't even know what the ideal would look like, so complex is the state of affairs with million's of people like ourselves, with problems and imperfections. Human beings, Christians included, are such a mix of things, choices, priorities and confusions. Only God would know and be able to accomplish the good. We'll have to wait for the coming restoration. Certainly any attempt so far by the right, the left and the church to establish the perfect has always ended in tragedy. For life is always tarnished by sin and folly. We should be warned away from any totalitarian temptation, any overly eager millennialism and plans to clean up the mess with our own dirty brooms. Each registered citizen will freely cast a vote, by staying home or going to the booth. Votes will reflect values and select the candidate considered best. But increasingly it is also a vote for the one who best suits the voter's self-interest. That "best" may be too close to my vision of the ideal and therefore unreachable in the larger mix of people and their ideas. The pursuit of the ideal, even Christian ideal, may cost us the election. Those dancing around the Bush in the months ahead may not notice in the midst of their delight that their party has become too exclusive, self-righteous and without attraction to outsiders. The close association of the Republican presidential candidate with Christian groups on the political right expresses their delight with and demands on a man of their own choice. They longed for and demanded a person of their specific persuasions. Now they claim they got him. He uncritically spoke at their Bob Jones university, associated himself by default with self-styled prophetic evangelists and moralists. In search of more votes he aligned himself with groups, which in their political core are idealists and who expect that in political life one can establish the same ideals as in a private group, a family or a church. But even in those close circles of birth or choice the reach for the ideal has always done more damage than good. Here is an old insight: to be satisfied only with perfection or nothing will, in a fallen world, always leave us with nothing. The dog, in Aeschylus's story, comes, a piece of meat in his mouth, to the river to drink. He sees, reflected in the water, a dog with a piece of meat. Wanting to have both, he reaches for the reflection and looses also the one he had. He is left with nothing. In the coming election we run the risk of loosing it all. Having reached for certainty of outcome we forced our candidate to align himself with a section of the population that alone is unable to carry him to victory. We were so concerned about reaching perfection this time that we neglected other issues, the needed appeal to more people outside, and the continuing battles of life ahead in a far less than perfect world of sinner. The role of a political leader is not that of a pastor. Membership in the nation is by birth, not by choice. One cannot exclude people. Entrance requirements are nationality, not morality. A good candidate has to persuade and appeal to a national, not only a moral constituency. Let me explain. If the goal is a change of government one must assemble a coalition of points of view that approximate the ideal in our own mind. We don't have the choice between perfection and separation in the state. Yet Christians and other idealists have often thought they did. We abandoned the public schools to form our own private, home and Christian ones. We withdrew from the public debate in numerous other areas, because we could not fully agree. We assumed that the idea of the self-made man also explained all economic good and all social problems. We embraced Ayn Rand's views and forgot that Jesus ate with sinners. We treat all welfare and other communal obligations as danger signs of a coming socialism, not as a duty of free and responsible neighbors. We draw the circle close enough around ourselves. But in the public life of a society the circle in public life will always include more folk than we admit into our quaint clubs, our families and our denominations. The pastor always will serve a more specific group than the policeman. They join voluntarily. The public does not. Both need to be served, persuaded and won. When we overlook that distinction we judge between the wheat and the chaff in the field of life already. We like to be amongst ourselves. Angels, and for good reasons not men now, will do that later. Our present task requires that we be personally holy and strive, as salt strives, to give flavor to the whole. That will not happen if the salt remains in the cellar, because it is too exclusive, too white or too cozy. Salt has to become available to the food. Its strength lies in its ability to do more by being spread around. St. Paul became all things to all men to win some, not by compromise, but by service, wisdom and courage. It is a great mistake to make a candidate so align himself with what is, in fact, a minority position. For he will only be elected by that minority. The co-belligerents for good governance will be excluded by narrow views and idealistic goals. Instead our specific set of values must be brought to bear on a larger majority: the need is great for compassion, leadership and sanity in the greater human family. In addition a narrow idealistic focus also prevents us from observing other concerns than those in our own mind and heart. Our concern should not foremost be for a party, for Republican agendas or for one side of the isle or the other. Good government has moral and practical goals, not political ones. It needs to govern the whole country, not only the majority. By its reasoned argument and moral integrity it needs to have as goal not the winning of an election, but the winning of the hearts and minds of people. It does not help to have put off the opponents early to such a degree, that they find it difficult to give the new government even a hearing. A Republican candidate too much aligned with the idealistic pursuits of the Christian right may well scare off the moderate center, the Jewish vote, the conservative Democrats, the thoughtful middle class. The pursuit of what has become today a "Christian" agenda is a way to loose the election. And that, I suggest, because too many Christians have lost their concern for truth, reason and compassion. They have replaced it with a desire for power to be able "to tell it as it is" to the other side. I suspect that many Christians really want it that way. For them it is an either all or nothing question. If they win, which is not guaranteed, they will show the rest of the world that they can do a better job now as men than the angels will be called to do later. I fear the rule of Christians, when power may incite them to assume they are without sin. If they loose, they will have the satisfaction of being martyrs, because their opponents misunderstand and persecute them. They have started down that road by demanding a full litmus test of the candidate, as if he had asked to join their church or to marry into their family. There is little that can be done for the country as a whole, when the candidate for public office will "leave all others and commit himself only unto them." A further danger exists. Any authority that is final in its own eyes is in danger of loosing the humility and sharpness required to discern between right and wrong in its own circle. The Church of Rome or of Russia, for long claiming to be exclusive authorities in Christendom, were unable to see the insidious fallacy in their central teaching as long as there was no room for debate, counter points and variance in its structures. Marxism only fell when other views were admitted through media and travel. People could now discover the lies they had always heard and believed before. Parents and pastors may hold to their style, views and power. But whether they are right needs to be found out in exposure to a larger world of their children, their parishioners, the wider world of God and his word. When a political establishment, a list of donors, the guardians of the true Republican ideas all align themselves, they will have a much harder time to discover the hair in their soup, the moral, intellectual and social problems among their supporters or the needs of the country. I thought government was all about good governance; about the rule of law rather than the rule of riders, pork barrels, and political maneuvering; about laws to restrain evil, to prevent injustice and to avoid ignorance, so that the people would transform themselves and become morally and intellectually able to serve as citizens! Historians Barbara Tuchman and Daniel Boorstin have variously suggested that it is very difficult to elect a statesman, when the vote in democracies is about power rather than truth, wisdom and responsibility. Whether a nation requires big or limited government depends on the goodness or selfishness of people, their initiatives or dependencies, their philosophy of life. Democracy, like the free market, can only function among moral and responsible people, whose interest is truth and justice, who see a judgement coming even beyond their success. With the trend to greater personal autonomy from God and man, more selfish ways and use of the courts to get my rights, more private interests than public involvement, votes will go more to candidates, who approve of me than to wise, moral and compassionate leaders with a larger, more Biblical perspective on human need.